You are invited to the opening reception "Vitrified", artwork by Patricia Benitez. She is a local female artist that will be showcasing 40 of her original pieces, including paintings, drawings and digital prints. Her work is dark, otherworldly and hauntingly beautiful. Refreshments will be served. 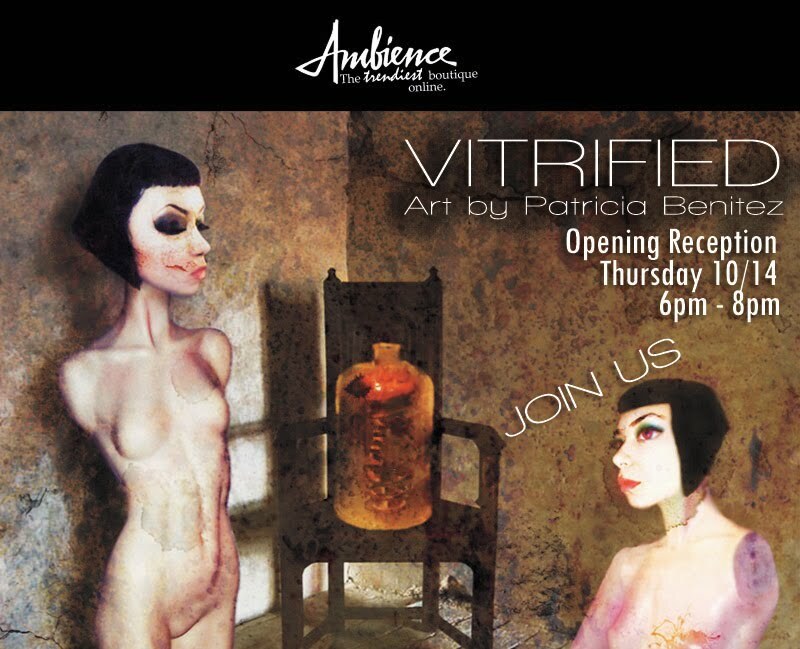 Join us for a night of Art at Ambience!